So in an attempt to start watching all the forgotten, lost yet wonderful movies that don’t get to see the daylight, I got me a Netflix membership. Then every time a movie came in the mail, I didn’t hear the end of it.It was either too sappy, or boring, or third rate, or girly or too violent or too psycho or not kid-friendly or whatever. It got stressful, trying to get a movie that perhaps everyone would like. Being castigated in your home was beginning to look fashionable. I quit. Son took over and the train of movies didn’t stop. I watched maybe one. It was established by now that I was the alien in the family. Sore thumb. Little Sad. More annoying though. Then, just like that the world decided to be generous to the underdog. It started off with Netflix was beating up Blockbuster. Successfully. Then some genius at the Netflix lab came up with yet another way to bust Blockbuster. With this whole streaming down via Wii, Netfliz not only made a whole bunch of stockowners happy, but Rads happy too. Very happy. So you see, now, I don’t have to share the queue with the rest of the family. We have two separate queues. Yes, sure, my selection is much smaller than theirs, but it’s good for now. There is no pressure to finish quick, coz someone else wants their next dvd to show up by the weekend, no whining, no explanations and proving that I do have good taste in movies, or suffering through useless movies that they pick, and so on and so forth. The good part? I don’t have to finish in one sitting! The better part? I don’t have to remember where I left off. It does it automatically. The best part? I can watch a tearjerker A, stop watch comedy B the next day and an action C the day after and come back and watch comedy B the day after and so on. Parallel stories. How cool is that? I think it’s cool. Also, there are a few desi movies there for variety sakes. Some are dumb, and some are Karan-bollywood-Johar-esque, but they exist to make the man and the daughter happy, so the jealousies are kept at bay. I watched up until AB jr showed up fully clothed and well fed and drenched. Ew! After seeing Hrithik in excellent Hi-def quality groove to the song below, you can’t blame me for walking away to bed in a trance, and refusing to let anything or anyone spoil it for me. Isn’t he just beautiful? Yes, I know, he is hot and handsome and all that, but no, here, the whole thing together, it’s breathtakingly beautiful! The choreography is precision. There is math involved. Geometry and Trigonometry if you watch carefully, in fact. There is physics in the movement and chemistry in his eyes. Design and Art coming together. If you would take a moment to dissect the whole piece down to a science, you’ll know why this song was a hit or why some fine pieces of art get produced with all the high quality elements that come together. Wait. EWWWWWW! Isn’t this Dhoom 2 the movie where SHE goes “Are you LIKE, checking me out?” like a 10 year old on a sugar high? EWWWWWWW AGAIN! 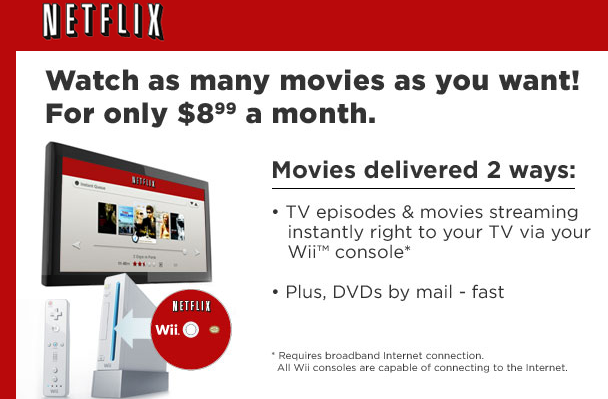 Netflix+Wii is indeed cool. I do have to find where the indian movies are. Man it must be difficult to choose movies in a 5person household. Two persons are bad enough. Ok, what was the prev post about? SK: Just check the International movies section perhaps? LOL. Okay, I think AB jr is awesome in his own tall dark handsome way, but one cannot deny the perfection that is Hrithik. If you and your readers watch Tamil movies on Netflix on-demand may I request them to please post the names. I am trying to watch Tamil movies on-demand so I don’t *&^& up the list so carefully made up by NON-Tamil speaking husband!!! I cannot find any. They seem to be so much behind with on-demand movies.